Mod Hub now features a new redesign with a new interface and improved navigation. with right click or with middle-mouse-click, you can´t open links in a new window anymore like it worked with the old style! that´s a bit annoying, because you can´t open a modpage in background while scrolling through the modslist! can u fix that please? 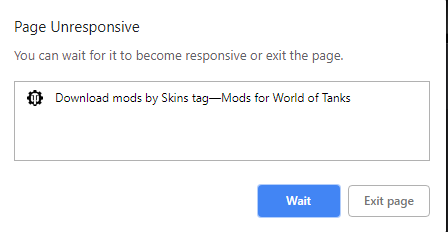 Very user friendly indeed: you cannot open mod links in new tabs, so if you want to browse through mods you need to open a mod in the same tab, then click the back button on your browser to go to previous page, then do this again for every mod you want to check. There is no back button on the page, only back "TO MAIN PAGE", which is annoying. Maybe hire a competent web designer? Don't you think most of them should be banned? I mean those in game (don't mind garage etc.) i only had a quick glance and can see big disadvantage against players not using mods! My opinion mods should be banned for good end of story. Have some options in the menu that's all you really need. Can you give an example of a mod that you are unable to navigate in the manner you would like? Mods are a sensitive topic for some, but at the same time they add so much enrichment and options for players to personalise their client. I remember many mods that were there in game to improve QoL that are now integrated into the game! Edited by Szatanshow, 31 January 2019 - 05:56 PM. mods are allowed ever since..so what could be ruined if you never knew world of tanks without people having mods installed? he talks about the same thing i´ve mentioned in my/the first post. It's nice now we can see ALL the mods in one place really. It was not easy to find mods with RU descriptions earlier. Edited by iKnewIT, 31 January 2019 - 11:39 PM. Please have a look at your Mod Hub! 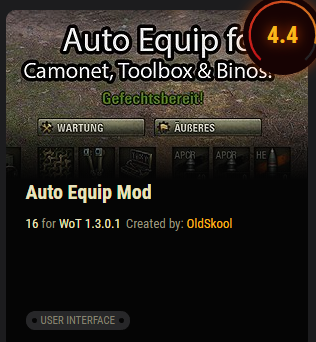 A lot of mods, which are actually compatible for 1.3.0.1, were incorrectly shown with old versions. In overview (e.g. when searching for a mod author) everything is correct. But in detail view a lot of mods were shown with wrong game versions. Do you know, that some improvements in game UI was taken from mods? 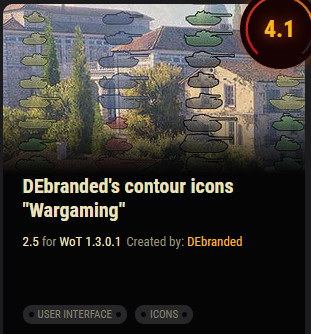 I think WG should put more popular stuff available in mods in game. 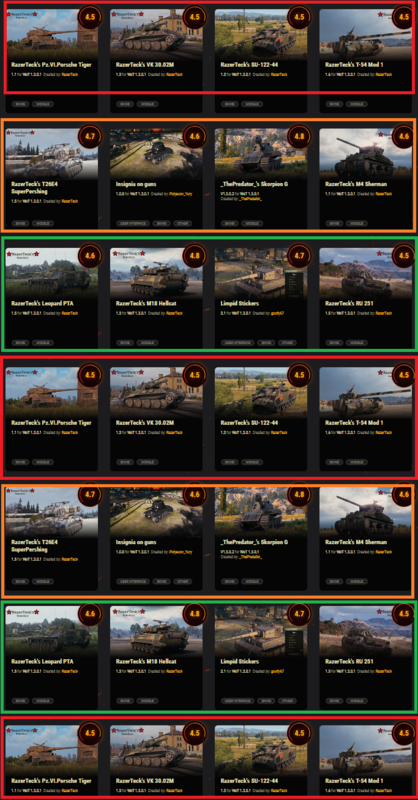 Eg Tank icons in game HT/MT/LT should be different, end this stupid put equipment manually, and implement auto equip mod, as auto return crew, and maybe more (you have stats, so is easy to know which one are popular). There must be a "Brain Mod" for WoT players... like 80% of them should use it because the game is an inferno this days. Yes, I have the same problem. On the mod detail page, the game version is incorrect. And also yes, not being able to open a link in a new tab is also very annying. User eXperience. It concerns usability when it comes to User Interface. yeh,but mods are add.add means money. other mods is usuless.aimbot for [edited],zj for noobs,obj fall is werry anoing thing.xvm stats is 1 of usefull mod,you can see who is cheater,and go around him. a yeah found new game,now spending money in new game,bcs no cheaters,have pve,pvp,some mods.no cheats.and werry good game masters for players.fixing bugs werry fast. When are you going to enforce with a system where you can't run any mods that are not distributed from the official mod-hub?